Alyssa Blumenthal says many clients make use of Bistro 63’s outdoor deck. Located at the edge of the UMass Amherst campus and central to the other Five Colleges institutions, Bistro 63 has done a brisk business in events for those schools, from department holiday gatherings to retirement parties to student events. It’s an ideal space for the wildly divergent tastes of college students, faculty, and staff, said Event Manager Alyssa Blumenthal, because it easily transforms from a banquet space to a nightclub — often during the same event. That makes for a memorable experience, she added, which often brings those undergrads back a little later in life. 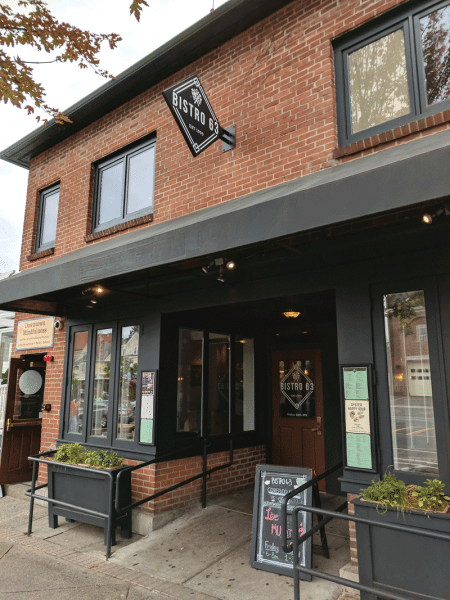 Current owners Rasif and R.J. Rafiq bought Bistro 63 — the restaurant attached to the popular Monkey Bar at 63 North Pleasant St. in Amherst — from its original owner, who opened it in 1999. 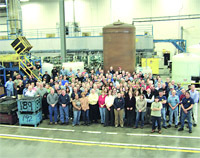 The brothers both worked there for more than a decade before taking over the business, learning every aspect of the operation. Today, the space hosts parties of all types — holiday events, corporate dinners, cocktail parties, rehearsal dinners, reunions, and more — ranging from small gatherings to large events up to 240 people. A large room can be divided into smaller spaces, including a covered deck outside. A 131-inch projection screen is available as well. 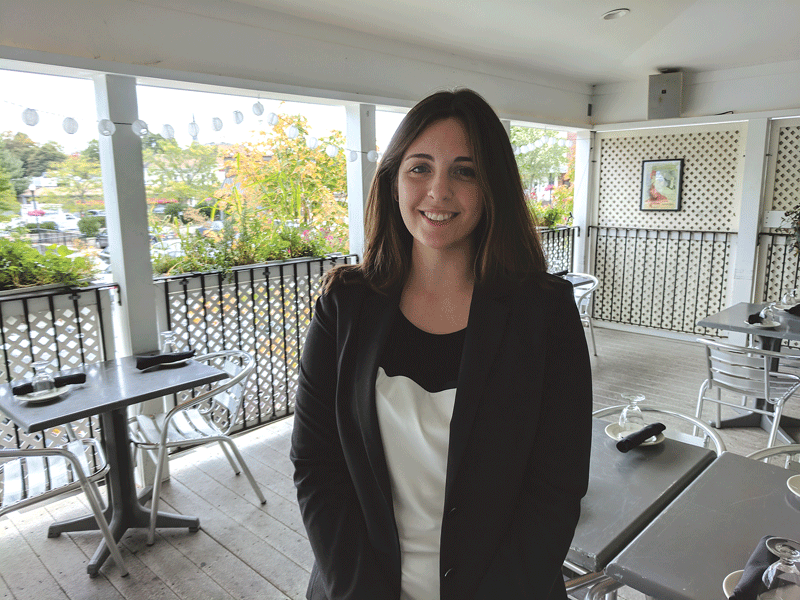 She noted that Bistro 63 has become a popular event site not just for UMass and the colleges, but area law offices, financial-services businesses, and a variety of others. Business tends to pick up starting in October, not only with the approaching holidays, but because it tends to be a hot season for convention business — and those events tend to spur further bookings. In fact, two weekends ago, Blumenthal welcomed three separate gatherings all booked by companies who attended a Bistro 63 event during last year’s International Conference on Soils, Sediments, Water and Energy at UMass. Nowhere is that personalization more evident than in the facility’s cocktail program. Bistro 63’s location at the foot of the UMass campus makes it a popular spot for party bookings by students and faculty. While Rasif Rafiq focuses on food and events, R.J., who studied under master mixologists, specializes on the drink side and trains the bartenders. As for the food, clients may choose from a number of appetizers, salads, entrees, and desserts, creating a custom package for their event. Those options — which may include anything from wild saku sesame tuna to rack of lamb ‘lollipops’ to truffle mushroom risotto — change throughout the year, not only for variety but to focus on seasonal ingredients. Party planning, Blumenthal said frankly, can be difficult, and it’s easy to forget details like that guest who requires gluten-free options. So she aims to create a stress-free experience. “If we can make a plan without you having to think about it too much, we’re more likely to book you,” she said. “We think ahead all the time; we have gluten-free and dairy-free food on all the menus.